Getting a loan from banks at reasonable interest is not an easy exercise. Its wise to avoid common mistakes that most of us do as you are going to cost your time and money. You need to study and figure out your exact requirements. 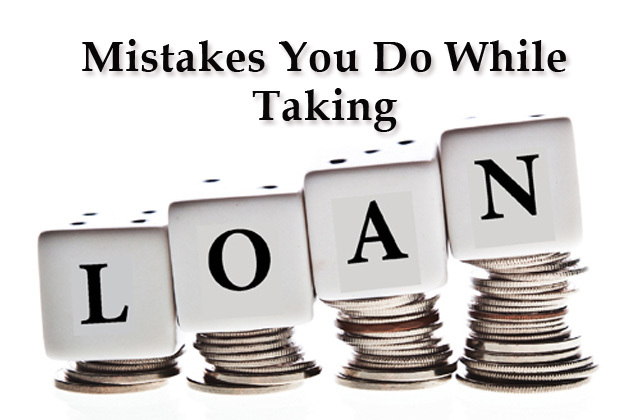 In this article we will tell you seven common mistakes that people make while applying for a loan. This is a big stumbling block. Banks will analysis whether you would be able to repay the money borrowed and hence a business plan is very important. At the same time, you need to have your books of accounts in order. Most businesses fail to get their paperwork in order and end up being refused by banks., so give it plenty of attention. Before you take a loan it is important to understand your financial position. It will help you figure out how much loan you would actually want. Additionally you have to figure out whether you would be able to take the burden of paying the EMIs. So you should be very clear about how much money you can afford to raise as a loan, if at all. Before you think of taking a loan you must check up your credit rating. Banks use credit ratings to determine the rate of interest. Once the loan get sanctioned, go through the agreement before signing it. The biggest mistake individuals make is to sign the document, even without reading it. From reset clause around an interest rate, to dealing with defaults, the legal document is filled with legal jargons that should be read through carefully. While most fees are communicated upfront, you should be cautious that the bank does not have any hidden fees. From fees like documentation charges, charges to change the tenure of the loan to late payment charges, there can be a plethora of such fees that may not be clear at first glance. Compare before taking your loan. Now a days there are many websites who provides facility of comparison in interest rates of banks. Hence always do this exercise before moving further. Banks would always want collateral as a security to extend a loan to you. Before you seek a loan, figure out what you want to give as collateral. The value of the collateral that you give should be in commensurate with the amount of loan you are taking and make sure you have authority and ownership over it. With these seven things you will get a loan that fits your lifestyle. Remember, this is a big decision, even if you take out a small loan so you should not take it lightly or hurry up the process.